Mac vs PC for Music Production: Which is Better? So you’ve decided you want to produce music. Awesome choice! There’s never been a better time to start; a few years ago, production was only for those who could afford super-expensive gear but now it’s accessible to anyone with a computer and some software. When you’re starting out, you might have a few questions about what gear you need. Which is better for music production, PC or Mac? The debate can never truly be settled, but which platform should YOU side with for your next music workstation? It’s a big investment to make it carefully! There’s no doubt that the PC vs Mac discussion is push and pull – there is no definite right answer. However, each individual will be better suited to one platform or the other. Each platform has its own unique pros and cons and whilst the two platforms are now similar in usability, compatibility, and performance, fundamental differences still divide audio producers into two camps. Firstly, it’s important to mention that not all DAWs run on both systems. PC Only: Adobe Audition, Sony Acid Pro, Sonar and Sound Forge. Mac Only: GarageBand, Peak, Soundtrack Pro and most importantly, Logic. Cross Platform: Reaper, Cubase, Bitwig Studio, Pro Tools and Ableton. Producers who use Logic have no real choice between Windows or Mac but for pretty much everyone else, it’s an open playing field! Check this article for a full guide on the top choice of DAWs available today. Remember: making the right choice of platform for YOU is very important. It could shape the way you produce music for years to come. PC and Mac – Is There Really A Major Difference? Let’s establish that whilst Windows computers are often simply referred to as “PCs”, both Windows PCs and Apple PCs are in fact PCs (personal computers). The real question here is which operating system is better for music production: Windows or Mac OS? Are differences between them profound? The answer to this is yes. Even though software and hardware compatibility has become more universal, there are still key differences between Windows PCs and Mac PCs and these can shape the way you make music. Each platform lends itself to a different workflow and each excels in its own way, both technically and in practical use. Mac OS is part of the UNIX family along with the Linux operating system. Apple has always made an effort to cater to those working in creative industries so it’s no wonder that the Mac has become a cultural icon amongst music producers and DJs. The Mac has a distinct design which is cool, modern, sleek and minimalist and this has always aided its producer image. Aside from superb looks and build quality, Macs have always been known for their enhanced usability, security, and stability. The vast majority of PC users who own both a Mac and Windows PC would agree that Macs are easier to use. The navigation system is more fluent, unified and optimized for workflow. Mac OS always takes the prize in the usability department and for music producers, this enhances production and keeps work across multiple apps smooth and seamless. On Mac OS, the file system is more logical, clear and simpler to use. Apps are easily installed and uninstalled and they generally use less memory. Being able to browse ‘All Your Files’ is an awesome option which Windows has always lacked, instead of forcing you to trawl through My Computer. From an audio-production perspective, this applies particularly to locating installed plugins, as well as loops and samples. On Macs, plugins can be found in individual folders which are separated by type. Windows can awkwardly throw your plugins across multiple locations. Mac OS has long been viewed as more stable than Windows. Mac hard disks don’t really need defragmentation as the OS was designed to defragment automatically. That means less chance of hardware failure with long-term use – most Mac users agree that a Macbook or iMac can go on and on and on for years without replacement or reinstallation of the OS. It’s clear and obvious to all that stability is very important for music production! Avoiding pesky errors and crashes free up valuable minutes that can add up to hours of music production time. Yes, we all know we should back up everything constantly but it’s easy to forget! Having a crash-proof system is an incredibly important asset for a music workstation. When we connect audio hardware, we’re relying on drivers to interface our hardware and software into one working whole. Macs use drivers under the name CoreAudio. This centralized set of audio drivers keeps everything in one place so you can easily configure and switch between devices. CoreAudio has been precisely programmed for pro sound control within Macs – it really is awesome. CoreAudio just works – there’s often little to no need for manual configuration when you connect devices like interfaces to DAWs. Plug and play! Most Macs come with Thunderbolt ports which are far superior to FireWire and are used commonly for more powerful audio interfaces. A Thunderbolt dock for a Windows PC can cost $250 or more. Macs cost far more than their Windows counterparts and for most, this is a big negative. We’re talking about 3 or 4 times more, not just a few hundred dollars. For the price of a Mac, you could grab a top Windows PC and shed loads of extra peripherals or even an audio interface and monitor speakers! It doesn’t stop there, though. Macs are often incredibly hard to upgrade, offering very little byways of expandability. That means that the pressure is on to buy a top-spec Mac right from the very start. Whilst Macs generally last longer than Windows PCs, they are not free from catastrophic failure. Errors like the one shown below (indicating HDD problems/corruption) still plague many Mac machines. Macs are not the bulletproof systems that they were once portrayed to be. However, Macs are built and tuned for creatives. They’re assembled to make life easier when dealing with complex software and hardware setups and this is where they excel. A Mac arguably provides a cleaner slate for creative work and this is why they’re more common in fields such as art and design. They’re just less hassle, do you want to spend hours tinkering with your machine or do you want to just switch it on and work? The fact that music producers and designers are often portrayed beside their Macs when producing or DJing isn’t just a marketing ploy, it’s a genuine representation of the fact that Macs often make the best machines for creatives. The humble Windows PC will trade punches with Apple and Mac OS until the bitter end. Windows comes equipped with over 3 decades of development, a larger market share and a much, much wider set of compatible software. Also, Windows is the weapon of choice for PC gamers and given that they’re some of the biggest PC enthusiasts around, that has to count for something, right? Mac’s biggest downfall is Window’s biggest strength. Windows PCs are much, much more cost effective and you can get your hands on some truly beastly machines for a fraction of a cost of a decent spec Mac. The same applies when comparing Windows laptops vs MacBooks. It’s possible to build a Windows PC that is more powerful than any top spec Mac on the market for half the price or less. Say no more: Windows PCs represent better value for money across the spectrum. For years and years, coders would make Windows their go-to platform for creating audio plugins and the huge volume of VSTs available online are not always compatible with OS, not without the use of a wrapper. There are literally hundreds of thousands of VSTs available for Windows and many of them are absolutely free like these free VST autotune plugins. So long as your DAW is compatible with VSTs (Pro Tools isn’t, for example), then you can reap the rewards of a plethora of weird and wacky VSTs that cover everything from basic EQ and compression to twisted delays, space-age effects, and crazy synths. Not only does this add creative scope to music producers who use Windows, it also further reduces the cost of producing on Windows. Windows is generally considered a deeper system than Mac. It allows for far greater customization, tweaking, optimization of software and hardware and compatibility with older or legacy devices. Window’s enhanced expandability applies both internally and externally. Windows can be more rewarding in the long-term as a music workstation, especially if you know a thing or two about computing. Windows is a tricky system when it comes to running tricky software and things do not always run smoothly. DAWs can cause all manner of conflicts and errors on Windows systems and it can be a potluck to see if your system runs smoothly or blights you with niggling errors and crashes. Window’s file system is also a bit chaotic when it comes to the installation of plugins. It’s not uncommon to find plugin files in all sorts of funny locations and until you track them all down and move them into the correct folder, they will not work. Also, whilst Mac OS upgrades are known for their associated errors, Windows is certainly not excluded. Windows regularly push updates and these can create compatibility issues that force reinstallation of plugins and DAWs. You might be sitting pretty on your finely tweaked machine and then BAM! An overnight update hits you and screws everything up. Windows uses ASIO drivers and whilst these offer huge scope for configuring lots of devices, they can be extremely difficult to tweak. Windows is a far cry from the plug and play nature of Mac OS and it’s not surprising that this is a deal breaker for many. ASIO makes a similar attempt to CoreAudio in that it aggregates all devices under one umbrella driver control panel but it just doesn’t work as well. Prepare for some tweaking if you want to get your devices to work with DAWs that they weren’t specifically built for, etc. Some will say that it is possible to crank better latency and performance out of ASIO but there’s no doubt that CoreAudio works better out-of-the-box. Above: ASIO doesn’t really match CoreAudio’s smooth UI and functionality. In exchange for power and expandability, Windows users often have to deal with gripes and errors when using complex software like DAWs. Sometimes, these mishaps will be minor but often, they’ll eat away at your precious time. Windows PCs are different beasts to Macs. They’re far greater in raw power and strength but are rougher around the edges and less refined. Sometimes, power is the greatest requirement for music producers and this is where Windows wins. Windows PCs give you more for less and that’s a tremendous advantage that doesn’t look set to change any time soon. So, Windows or Mac? The decision maker for many is frequently the cost. People simply aren’t prepared to throw up to $5000 on a top-spec Mac with an interface, peripherals, monitors, etc, when they can grab all of this and more for half when opting for a Windows PC. That puts Windows in a strong position. Windows is quirky when it comes to music production and its strengths probably do lie elsewhere but still, most Windows PCs are more than capable of running advanced audio rigs with few issues. Things have improved and generally, the user-friendliness of Windows has improved with Windows 10. 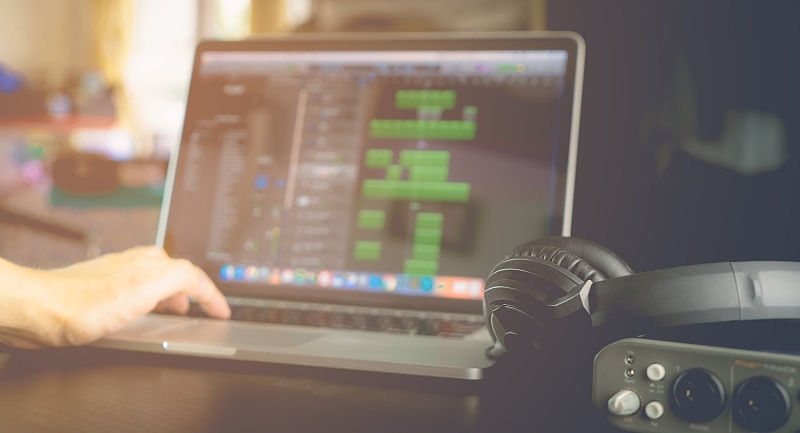 On the other hand, Macs have proven workflow benefits which can improve your own productivity and ultimately turn you into a better music producer. Macs are ubiquitous amongst creatives for a reason – they do just get the job done with simplicity and efficiency. Yes, you might need to sacrifice some compatibility with older software and hardware but going forward, you’ll have a machine that is almost purpose-built for creative industries including music production. Ultimately, the decision is in your hands! Good luck!